The so-called Boy Scout Perversion Files describe more than a thousand molestations of boys by men who took them into their care. The scoutmasters my brother and I had aren’t on the list. I’m surprised by how emotional I was when I looked it up just now. We had a really good troop – an active and fun, funky bunch of dads and kids. The fellow who took over the troop toward the end of my tenure as a boy scout, and who stayed on for decades, was a spirited, single man, prone to irascibility but dearly devoted to scouting; I never got a weird vibe from him. 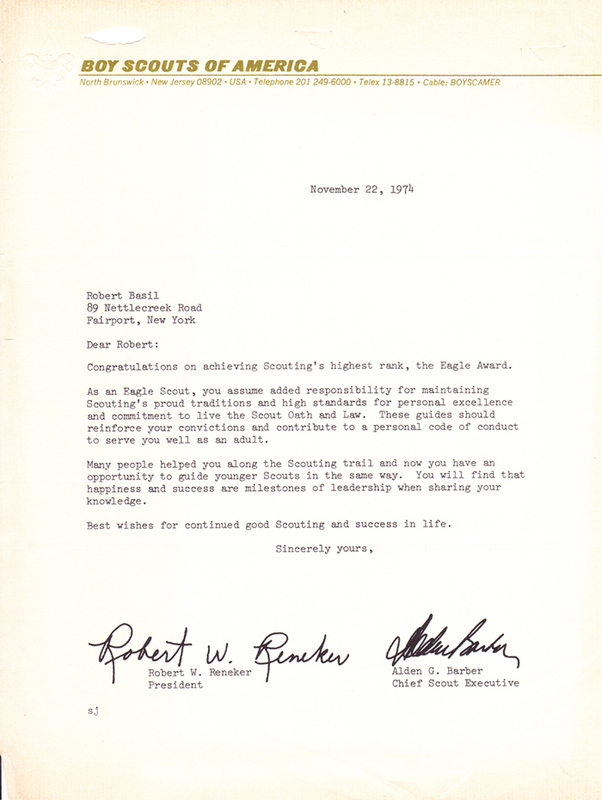 The national director of USA Scouting Operations at the time lived a street down from my family, and his son, a star athlete, was in my troop. I wasn’t the best scout – I typically returned home from camping trips dirty and often wet and cold as well, even in the summer – but I looked forward to our troop meetings and all our camping trips. I always felt included and protected, and I learned a ton that I still know. These perversion files are sickening in so many respects, but not entirely surprising. Boy Scout troops were, if possible, even more ripe arenas for ephebophiles than Catholic parishes were not too long ago. They provided easy access to a larger strata of men, for one. And then throw in the whole “camping adventure” thing. Oh, boy: *awful*. In our troop we had kids who were really hurting and vulnerable. Many were poor. Many had broken families. But they were looked after and were safe when they were around the men in Troop 209, Raymond Baptist Memorial Church, Fairport, NY. I believe that. Today I was officially certified as a “Social Media” expert by Hootsuite University. Hootsuite U. is a nifty online educational program that local Vancouver “social media management dashboard” company Hootsuite has provided to students in my Digital Marketing course at Kwantlen Polytechnic University. It’s kind of nice, as a teacher, knowing that my students have such thoroughgoing back-up to the lectures, textbook, and in-class activities they are getting from me. I must say, the Hootsuite training and webinars reminded me why I need to be humble: I learned a ton, and it took me more than one try to pass some of the tests. Thanksgiving is my favourite holiday, one whose name I obey, happily. This year I will be spending the day in two countries, starting in the land where I was raised and ending in the wonderful home I’ve found in Vancouver, where beauty and creativity abound everywhere. (I love that ad, above! 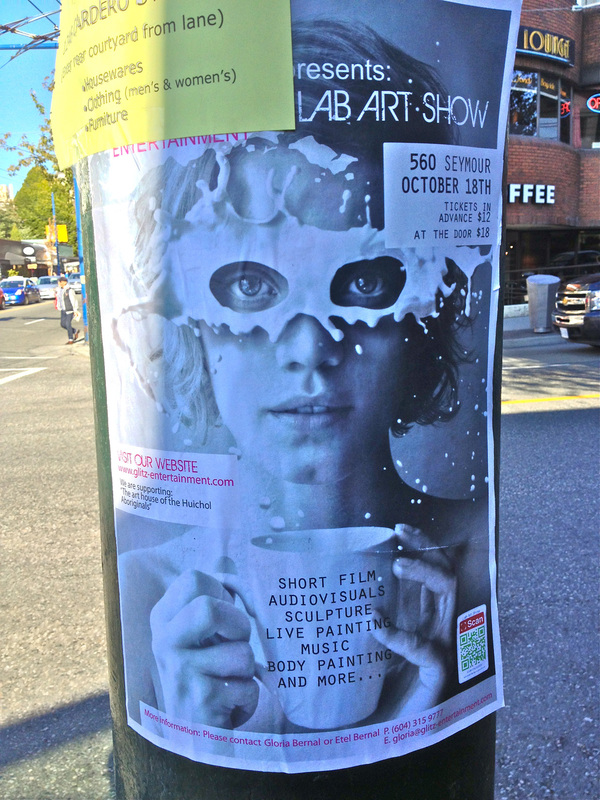 The “Lab Art” show will be worth a visit, no doubt.) I’m a grateful man.